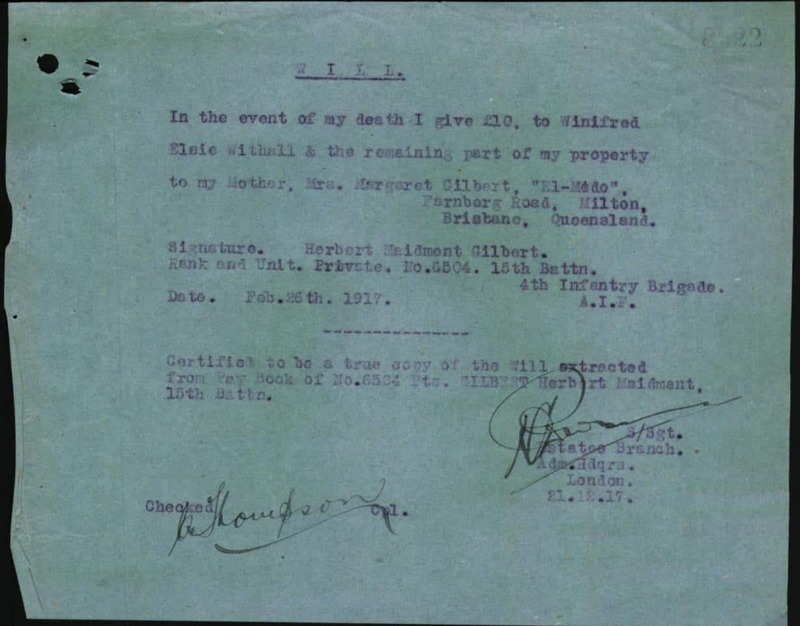 Herbert Maidment Gilbert was born on the 12th of December 1895 in Brighton, Sussex to vanman James Gilbert and Margaret Ann Drover Gilbert nee Foster. 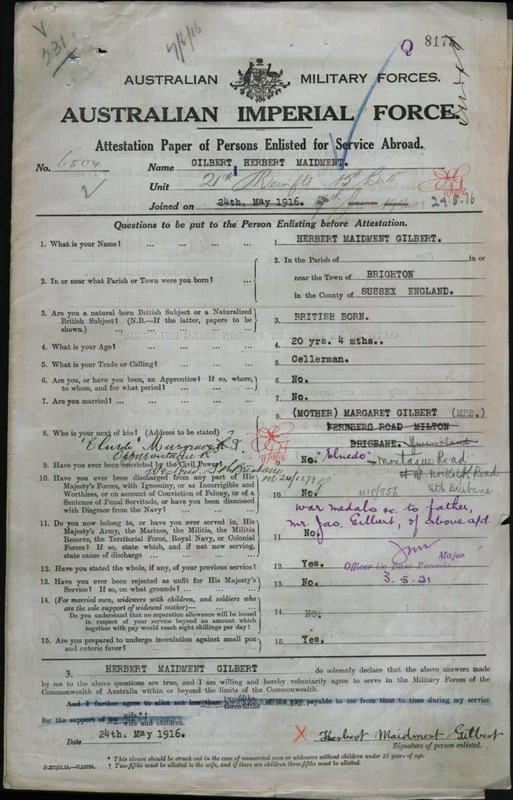 On the 3rd of December 1900 Herbert was admitted into St Martin Church of England School for infants in Dorking. At the time of his admission the family lived at Curtis Gardens in Dorking. 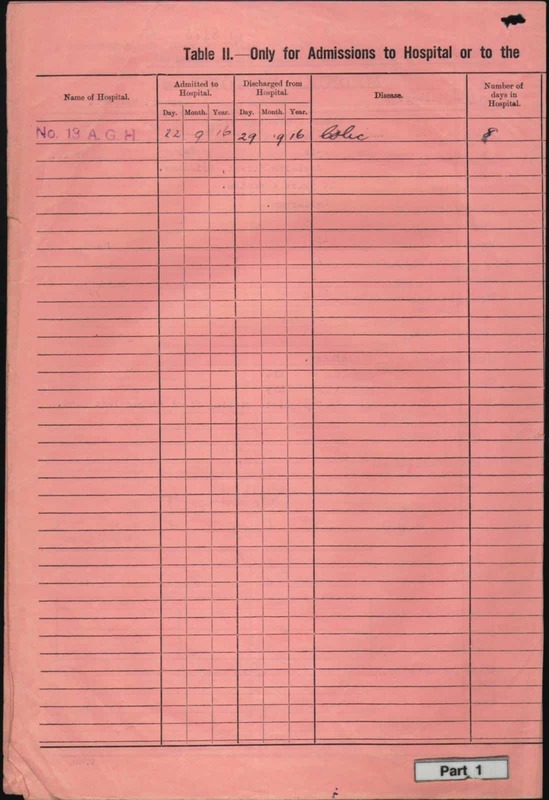 On the 20th of April 1903 he left to start at Dorking British School. 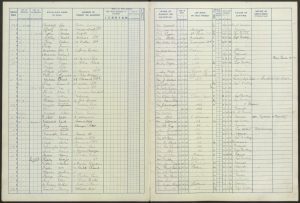 At the time of the 1901 Census, the family lived at New Buildings, 3 Station Road, Dorking. 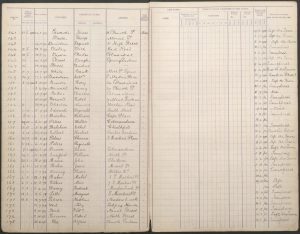 James was working as a labourer in a timber yard and Margaret was looking after their children: Ethel, Ernest and Herbert. 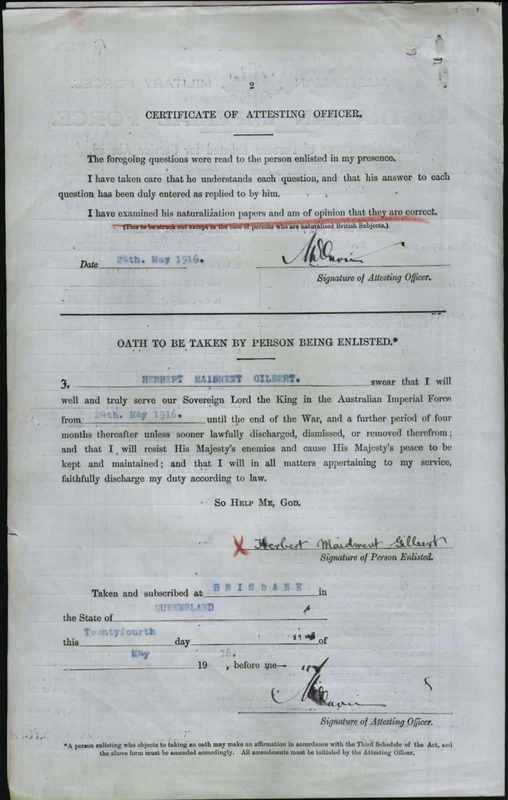 On the 20th of April 1903 Herbert Maidment Gilbert was admitted into the Dorking British School. At the time of his admission the family lived at 4 Curtis Gardens in Dorking. 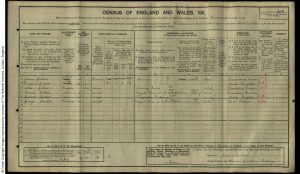 At the time of the 1911 Census, the family were still living at 4 Curtis Gardens in Dorking. 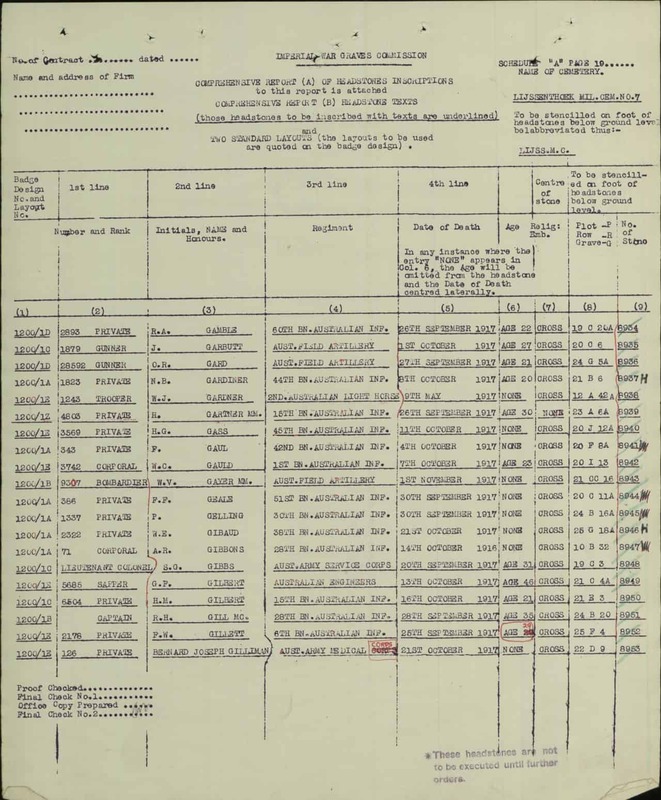 James was working as a vanman and Margaret was at home. 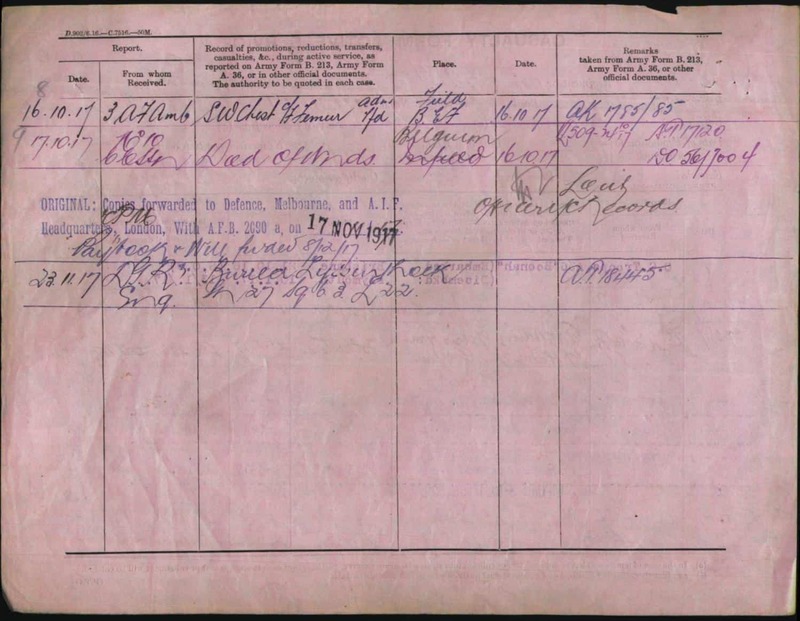 Of their children: Ethel was working as a laundry maid, Ernest as a waggon lad and Herbert as a telegraph messenger. 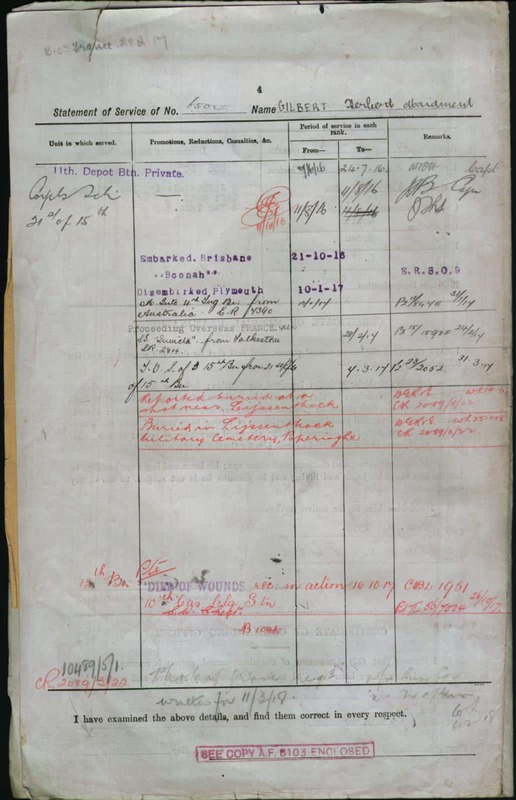 The household further comprised of a boarder, waggon driver, George Stickels. Margaret stated that she had given birth to three children. The house had five rooms. 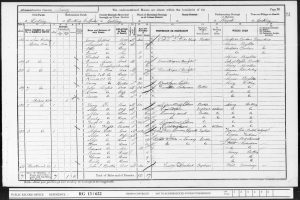 The family moved back to Australia about 1913. 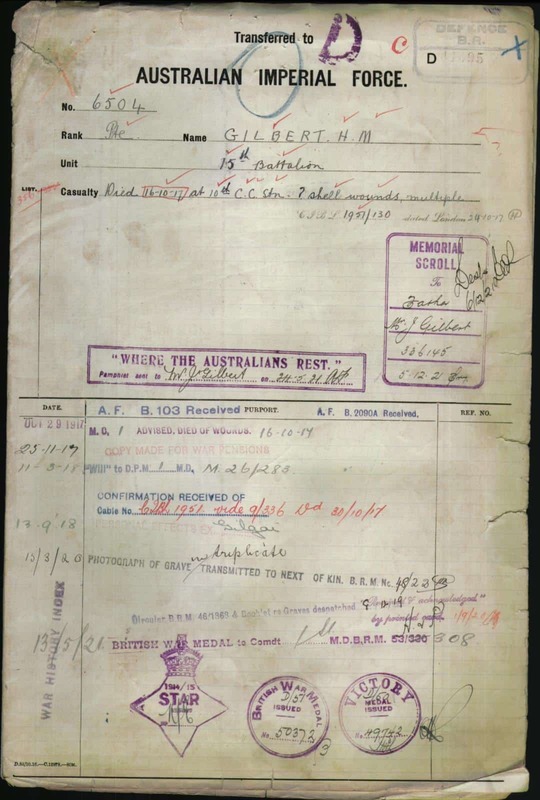 Herbert Gilbert enlisted on the 24th of July 1916 in Brisbane, Queensland into the 21st Reinforcements of the 15th Battalion, 4th Infantry Brigade, the Australian Imperial Force. 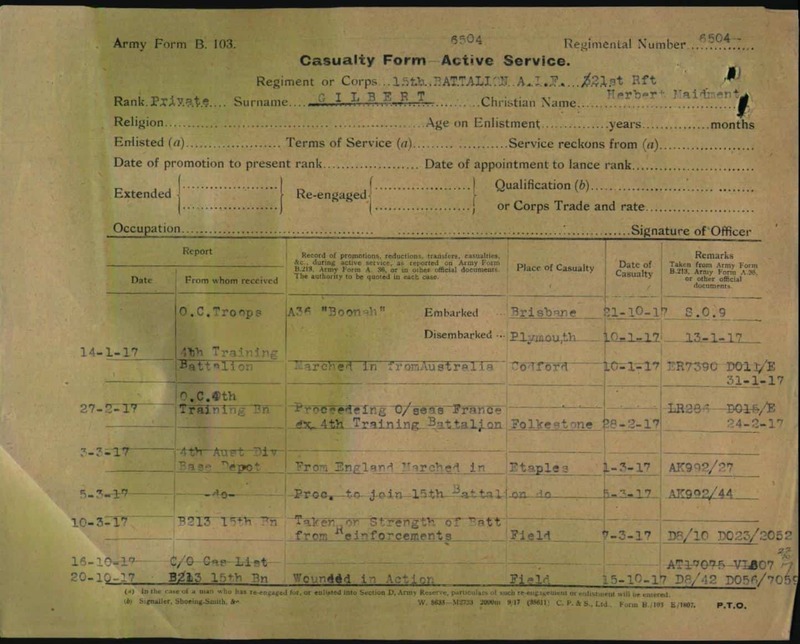 He was a Private with regimental number 6504. 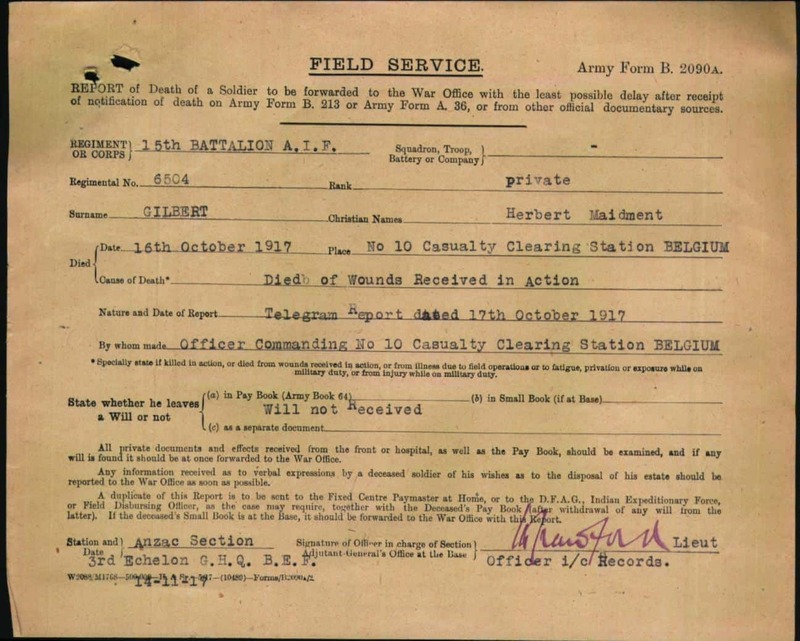 At the time of his enlistment, Herbert was working as a cellar man. He had a medium complexion, brown eyes and dark hair. He also had two joints missing on the first finger of his left hand. 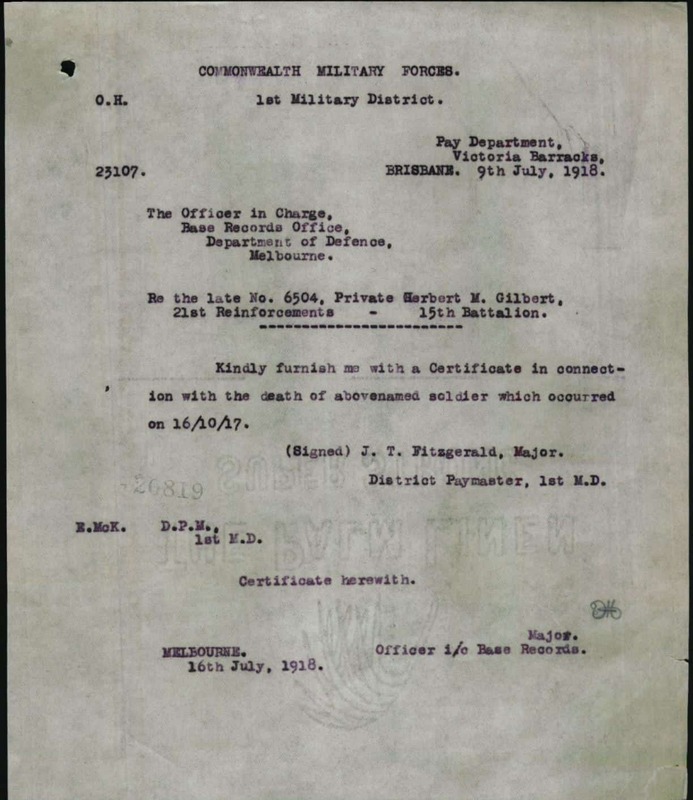 At the time of his enlistment he lived at Pernberg Road, Milton, Brisbane. 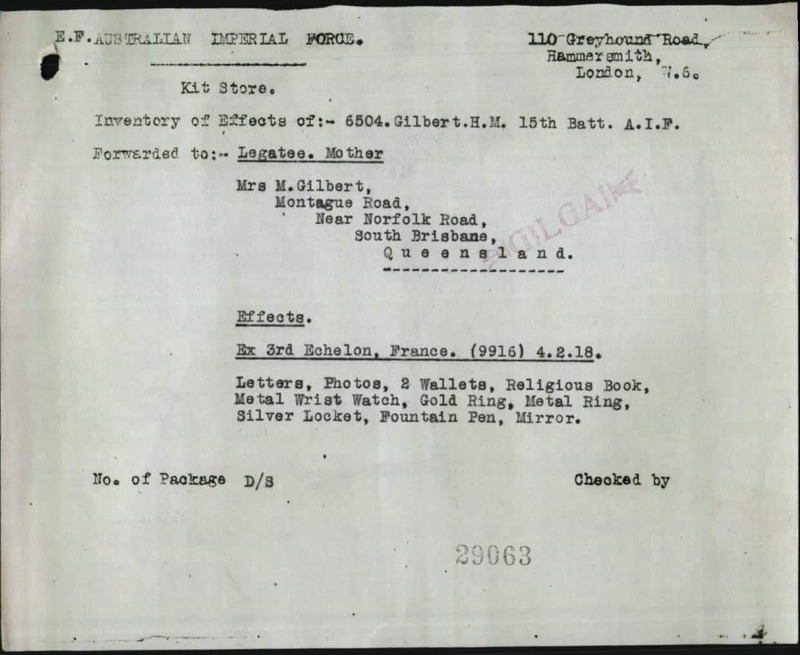 His next of kin was listed as his mother: Margaret Ann Drover Gilbert of Pernberg Road, Milton, Brisbane. 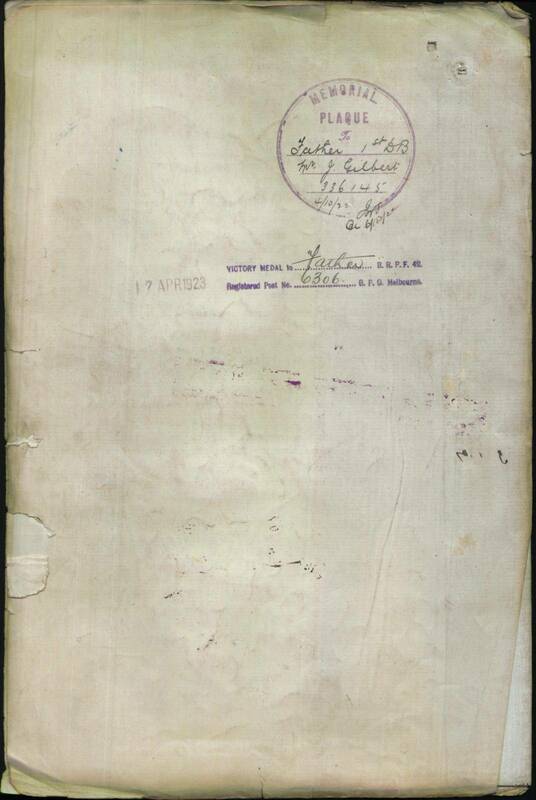 Later, she resided at El Nedo, Montague Road, South Brisbane, Queensland. 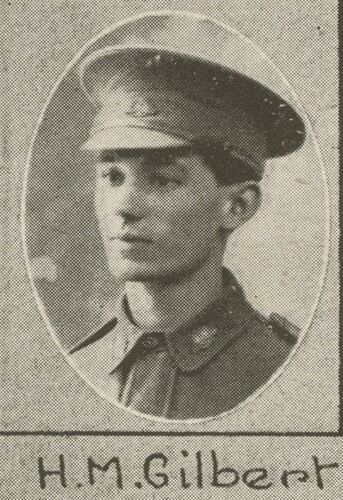 Private Herbert Gilbert was part of the 11th Depot Battalion from the 7th of June 1916 to the 24th of July 1916. 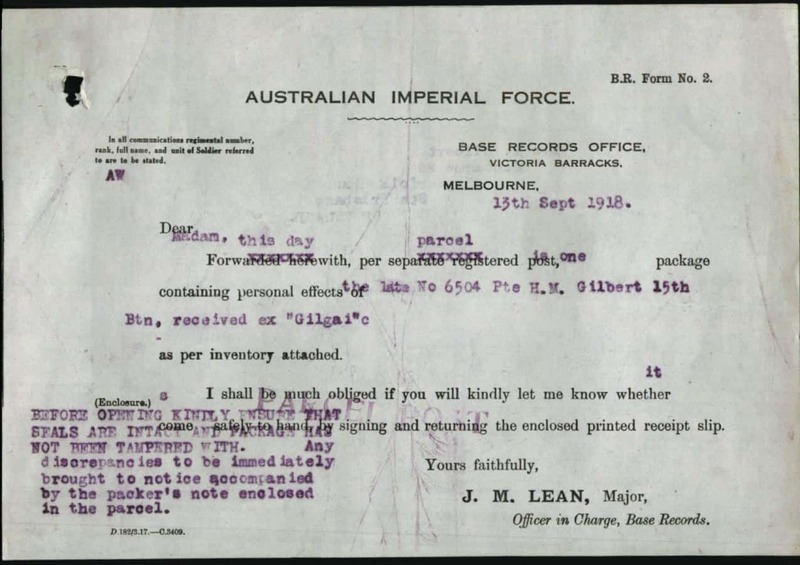 On the 11th of August 1916 he joined the 21st Reinforcements of the 15th Battalion. 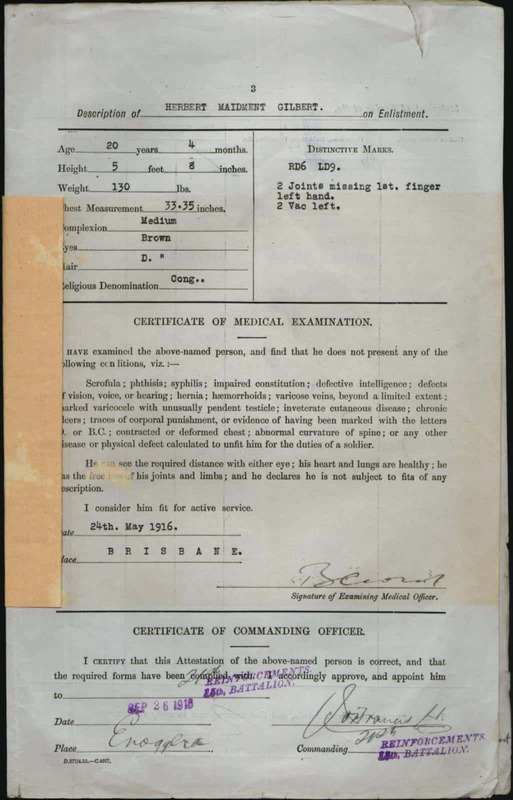 On the 22nd September he was admitted into the 13 Australian General Hospital with colic. 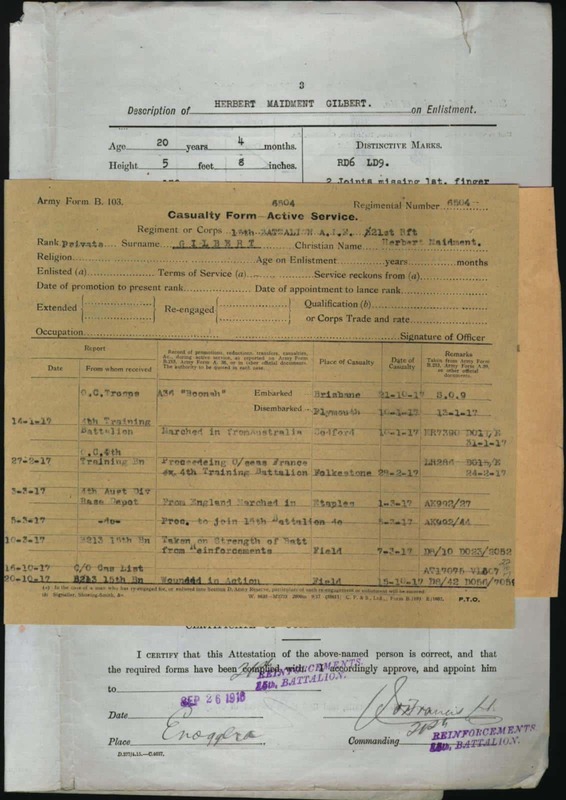 He was discharged on the 29th of September 1916. 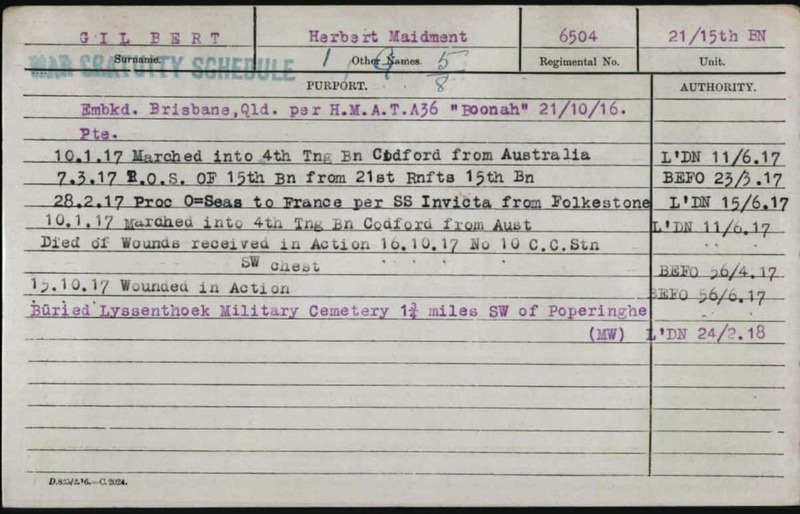 On the 21st of October 1916 he embarked on the HMAT Boonah from Brisbane, Australia to England. 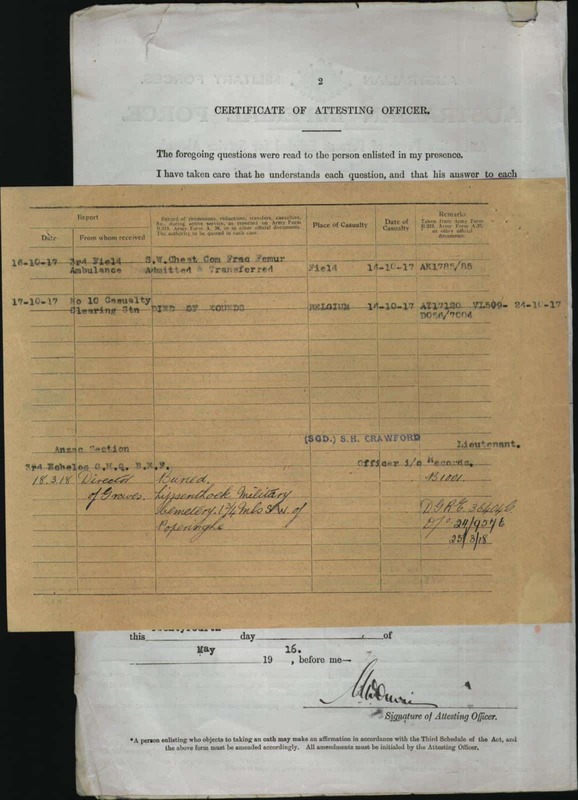 On the 10th of January 1917 Herbert Maidment disembarked to Plymouth, England. 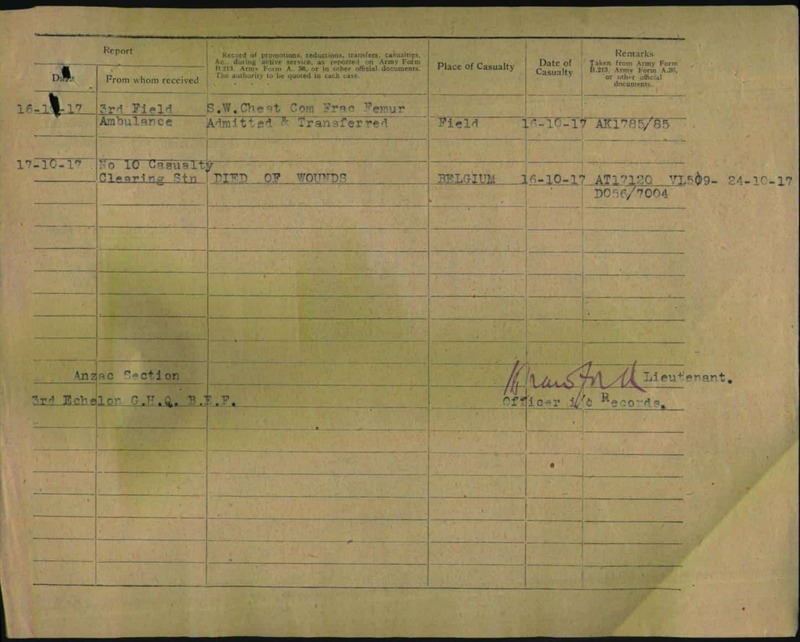 On the same date he marched out to the 4th Training Battalion stationed at Codford, England. 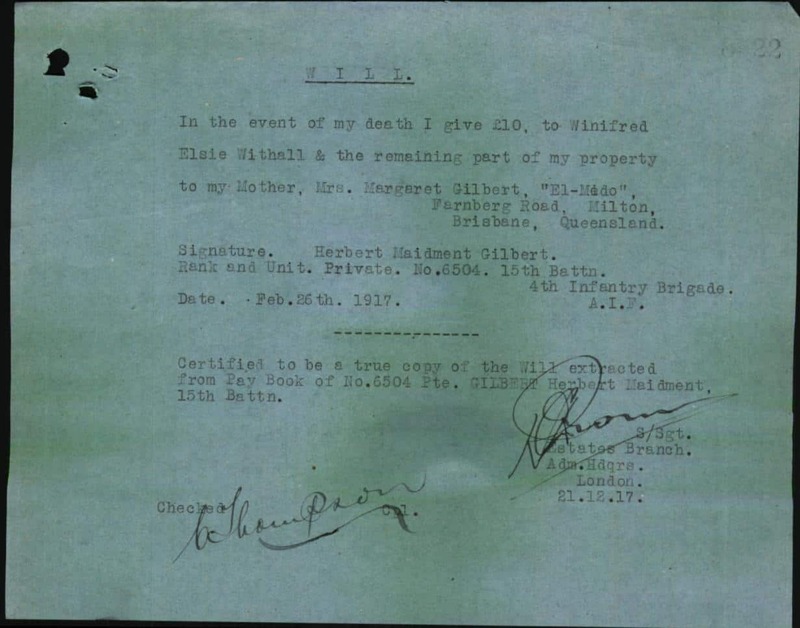 On the 26th of February 1917 Herbert Maidment wrote a will stating that in the event of his death Winifred Elsie Withall would receive £10 and that the remaining part of his property would be left to his mother Margaret Ann Drover Gilbert of El Nedo, Farnberg Road, Milton, Brisbane, Queensland, Australia. 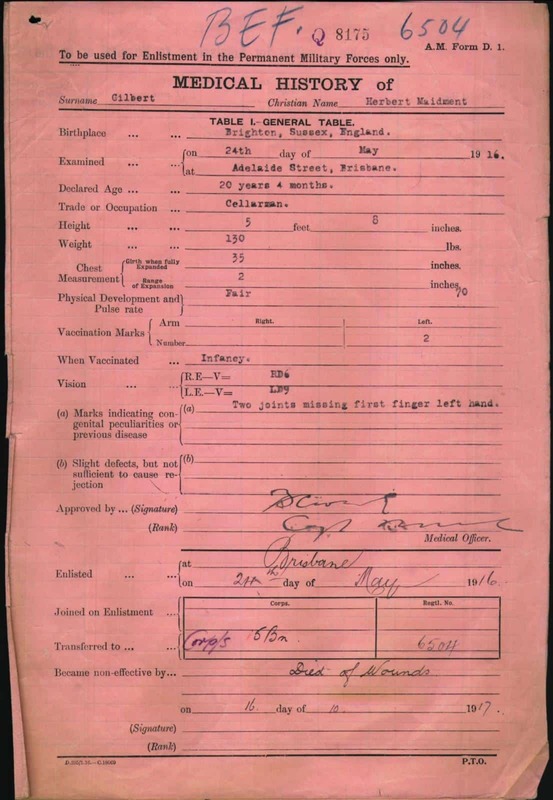 On the 28th of February 1917 Herbert Maidment Gilbert embarked on the SS Invicta from Folkestone, England to France. 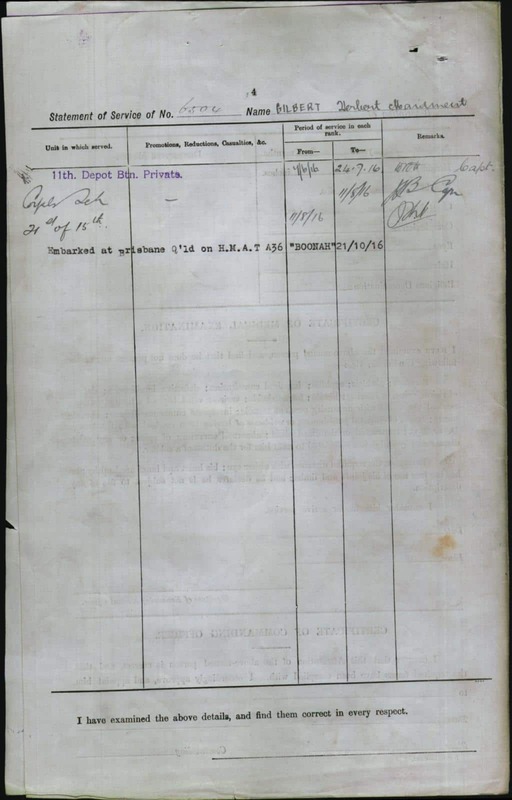 On the 1st of March 1917 he marched out to the 4th Australian Divisional Base Depot at Etaples. 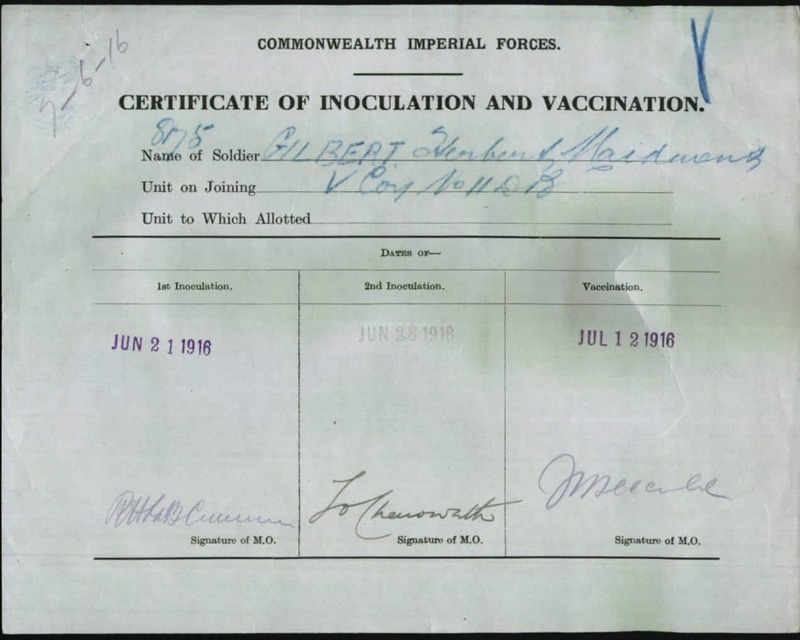 On the 5th of March 1917 Herbert Maidment proceeded to join the 15th Battalion, 4th Infantry Brigate of the AIF. 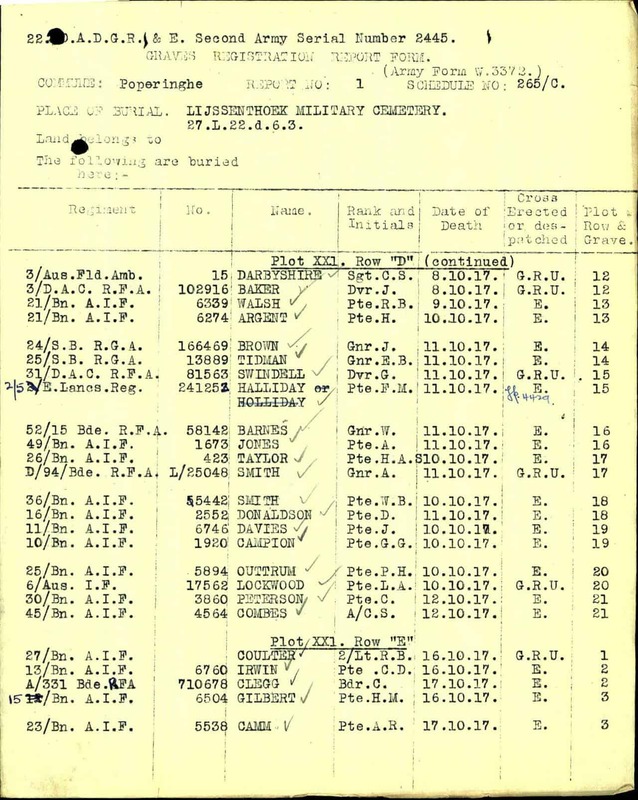 Two days later, on the 7th of March 1917 he was taken on strength of the 15th Battalion in the Field from the 21st Reinforcements of the 15th Battalion. 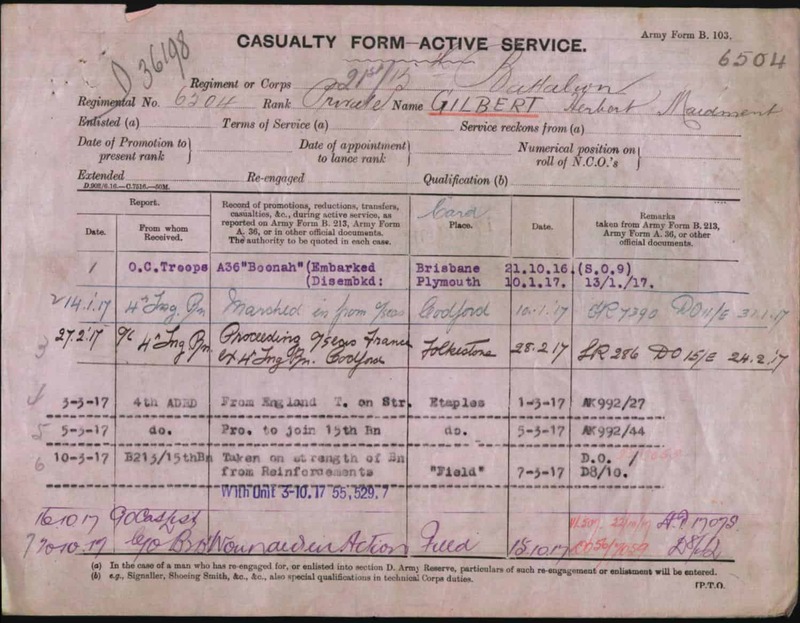 Herbert was wounded by a shell in an action on the 15th of October 1917 in the Field. He had shrapnel wounds on his chest and a fractured femur. 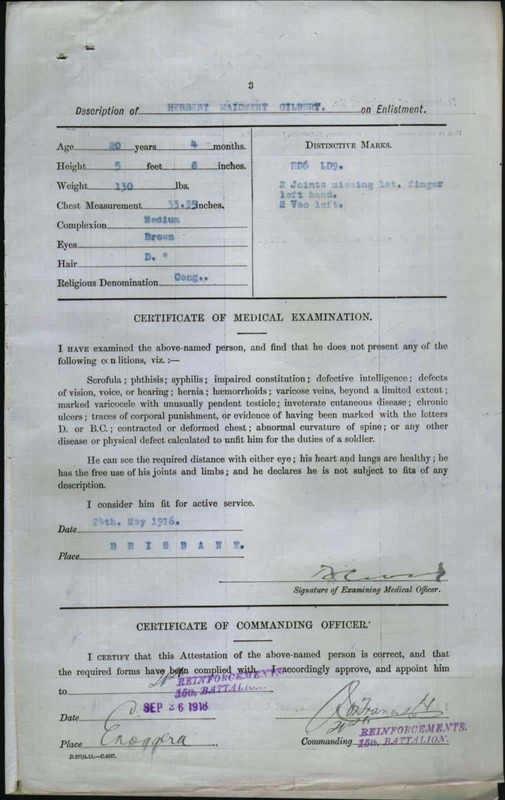 On the 16th of October he was admitted to the 3rd Field Ambulance and transferred into the No 10 Casualty Clearing Station near Poperinghe in Belgium where he succumbed to his severe wounds on the same date. 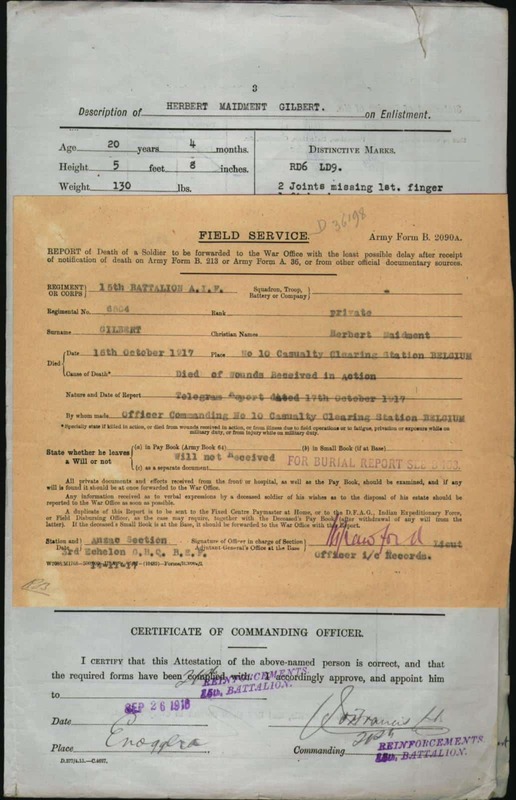 He was burried at the Lijssenhoek Military Cemetery in Poperinge, Belgium. His grave reference number is: XXI. 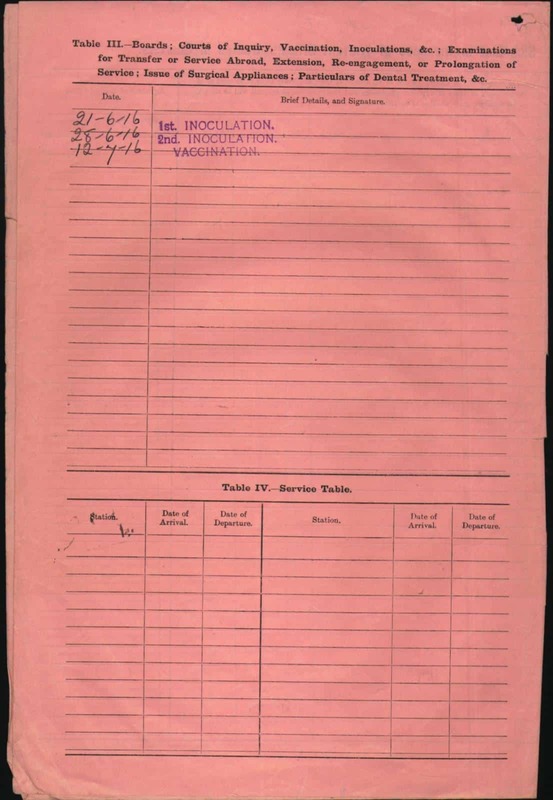 E. 3. 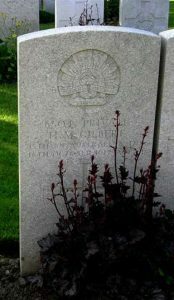 The headstone reads: “Dearly Loved Son and Brother“. 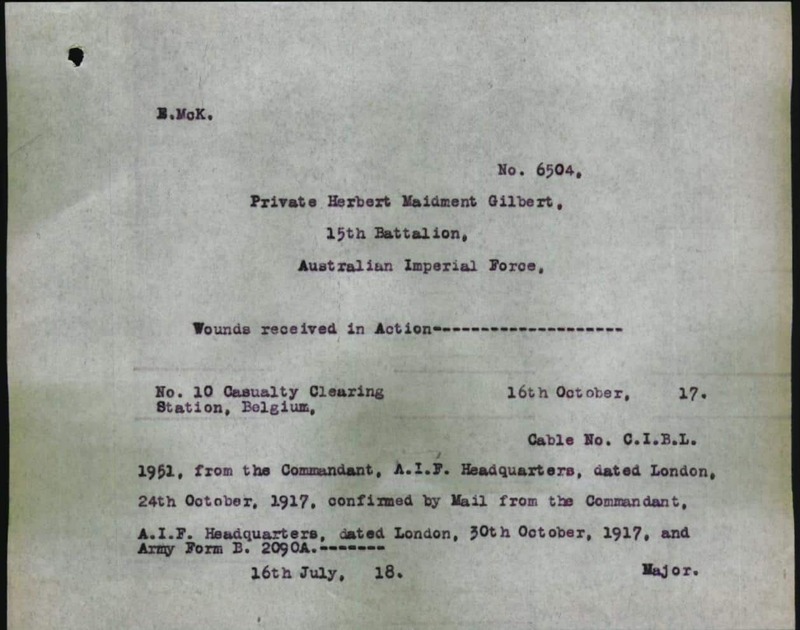 Herbert ´s father James Gilbert received the British War and Victory medals, the Memorial Scroll, the Memorial Plaque, and a booklet ´Where the Australians Rest´. 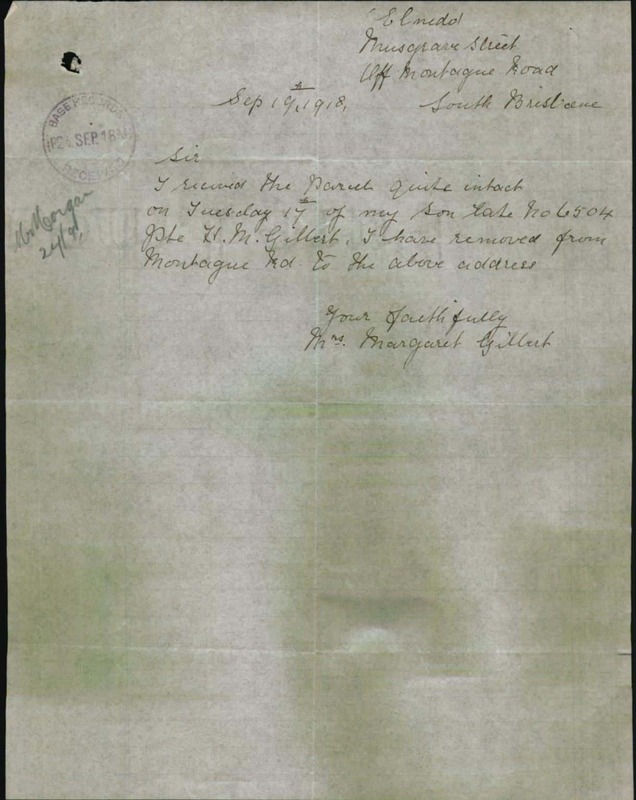 Herbert Maidment´s mother Margaret received her son´s personal effects including: letters, photos, two wallets, a religious book, metal wrist watch, gold ring, metal ring, silver locket, fountain pen and a mirror. 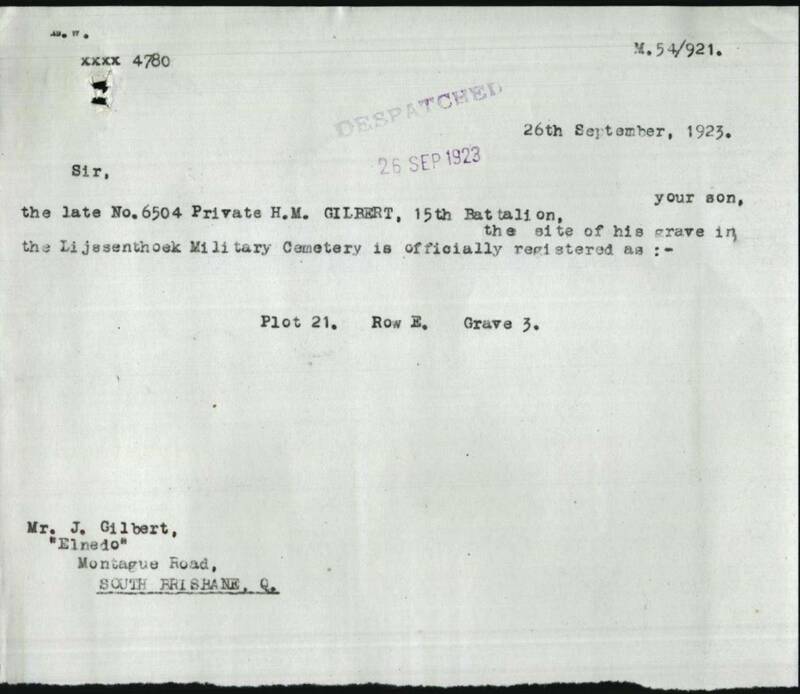 As the next of kin she also received a photo of her son´s grave. 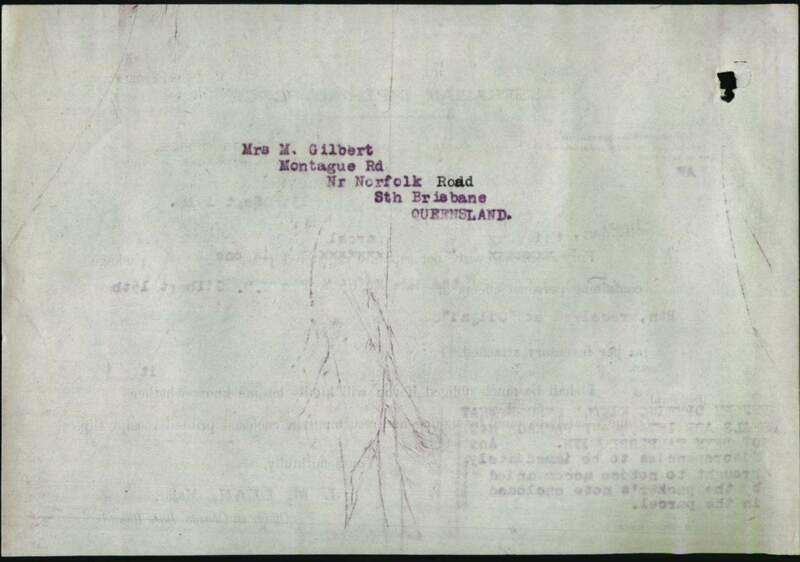 Herbert Maidment´s father James Gilbert was born on the 29th of August 1866 in Brisbane, Queensland in Australia to William Dust Carrington Gilbert and Jane Maidment. 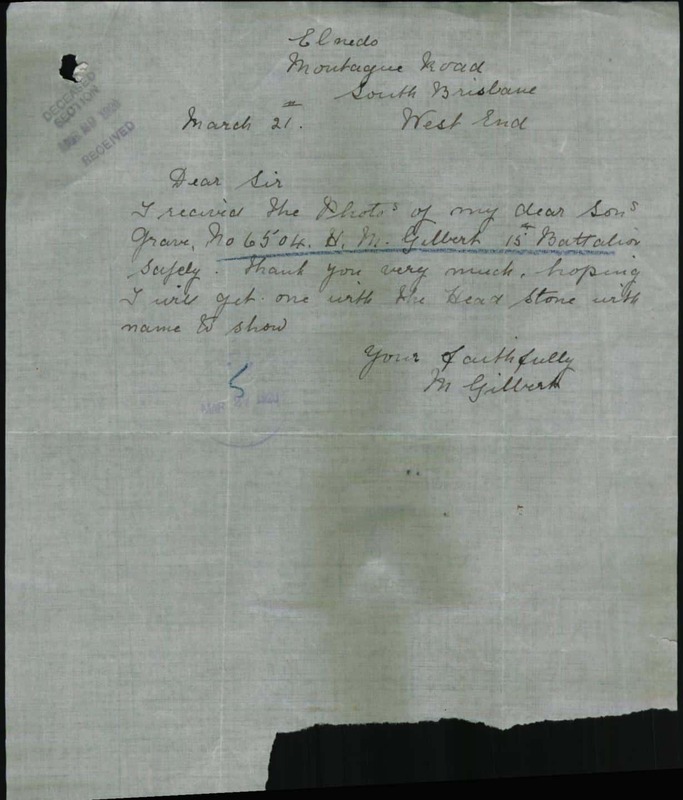 William Dust Carrington Gilbert and Jane Maidment married on the 9th of February 1860 in Queensland. 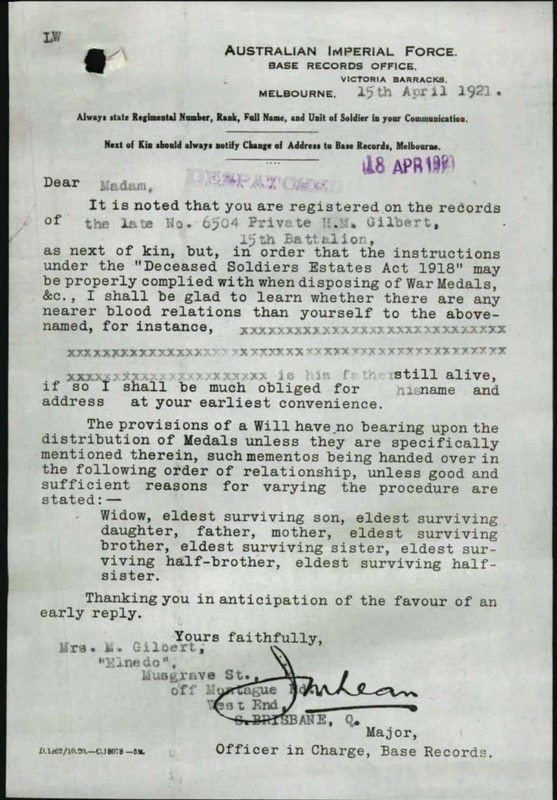 Herbert Maidment´s mother Margaret Ann Drover Foster was born about 1866 in Brighton, Sussex to naval pensioner David Barry Foster, born about 1834 at Woodbridge, Suffolk, and monthly nurse Fanny Elizabeth Drover Foster, born about 1838 at Bognor, Sussex. 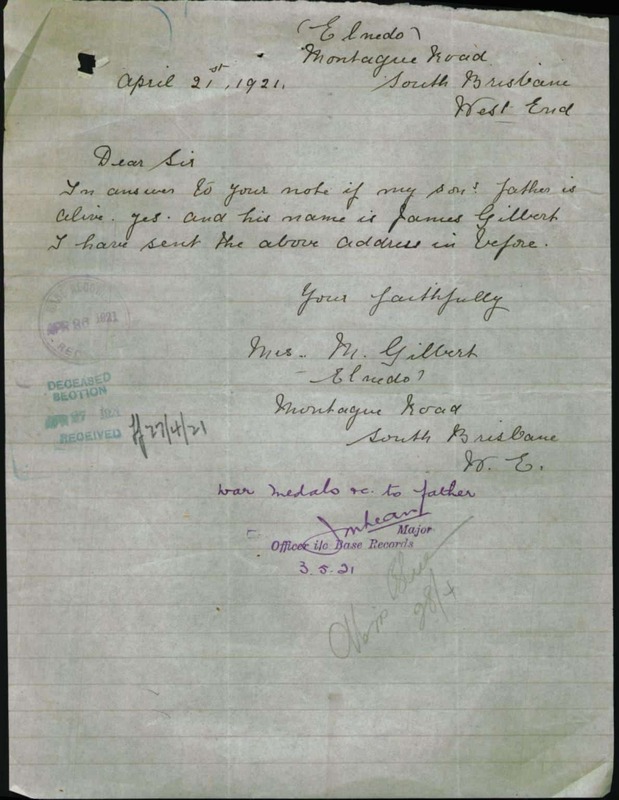 James Gilbert and Margaret Ann Drover Foster married on the 2nd October 1889 in Queensland, Australia. 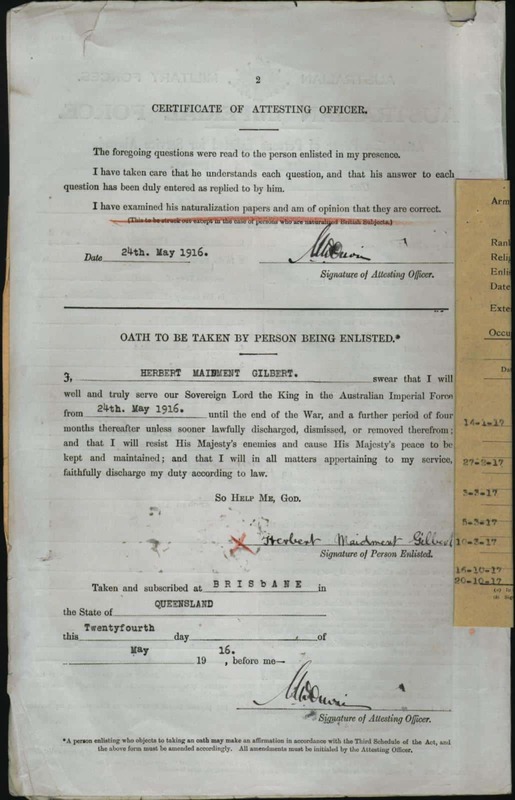 Herbert Maidment had two siblings: Ethel Gilbert born about 1891 in Brisbane, Queensland and Ernest Gilbert born about 1893 in Brisbane, Queensland. 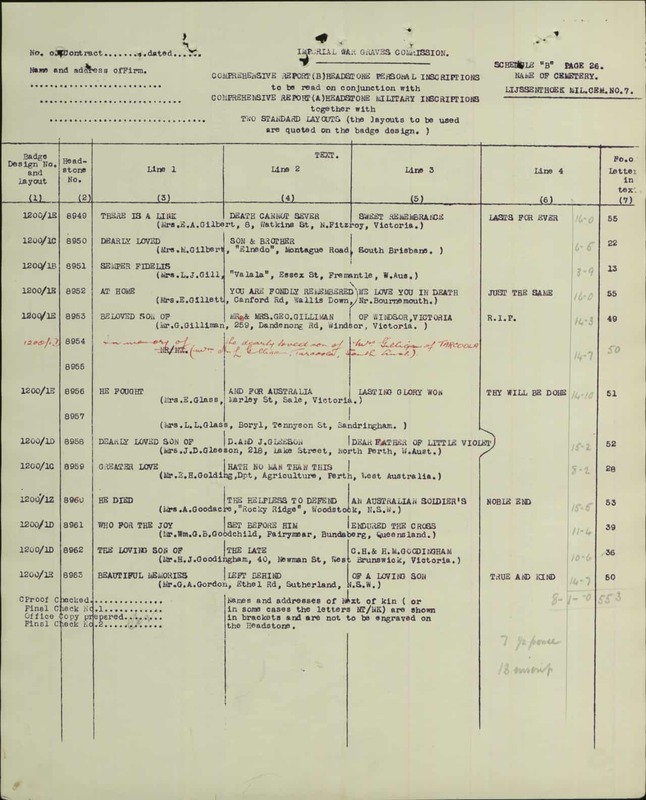 According to the 1919 Australian Electoral Rolls Herbert Maidment´s parents James Gilbert and Margaret Ann Drover Gilbert lived at El Nedo, Musgrave Street, Brisbane South, Queensland. 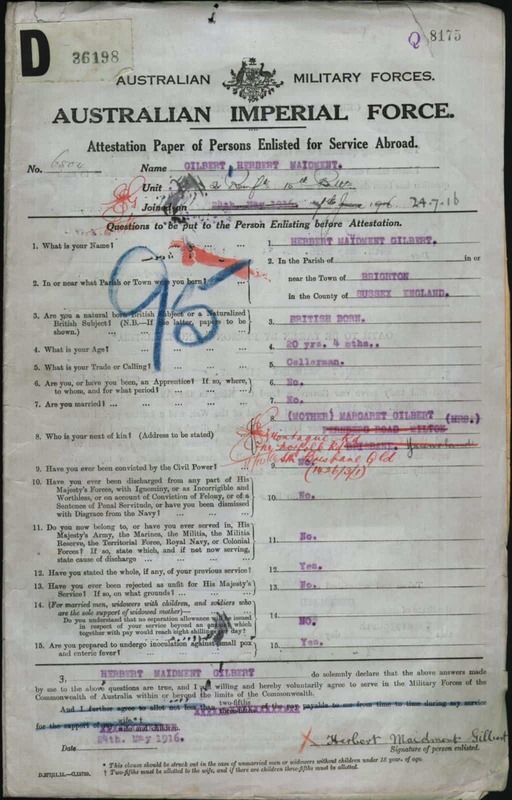 James was working as a carter. 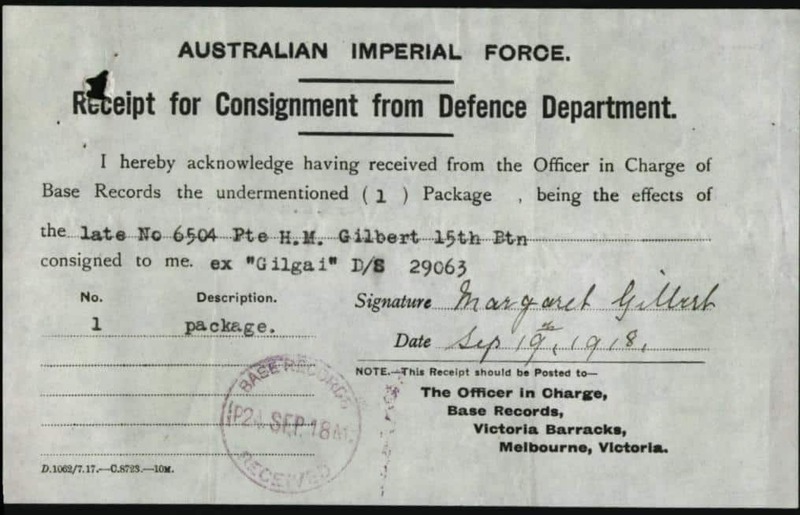 Margaret Ann Drover Gilbert died on the 26th of February 1924 in Queensland. 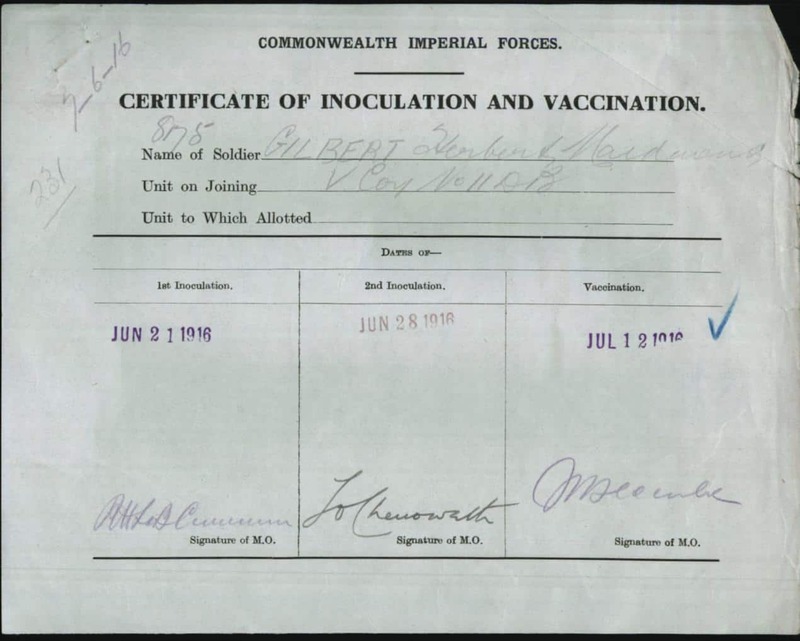 James Gilbert died on the 16th of December 1945 in Queensland.